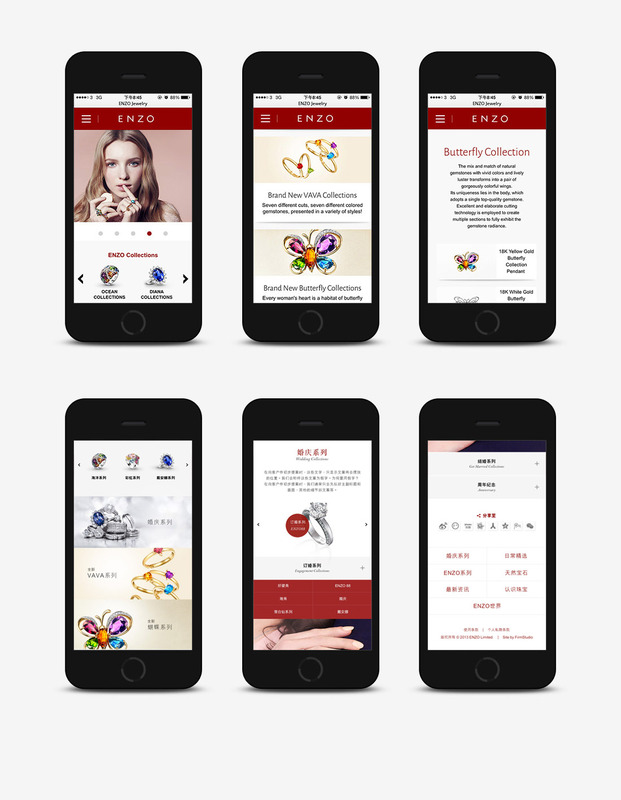 ENZO is a large jewelry retail brand operating over 200 retail stores in China, Hong Kong and Macau. 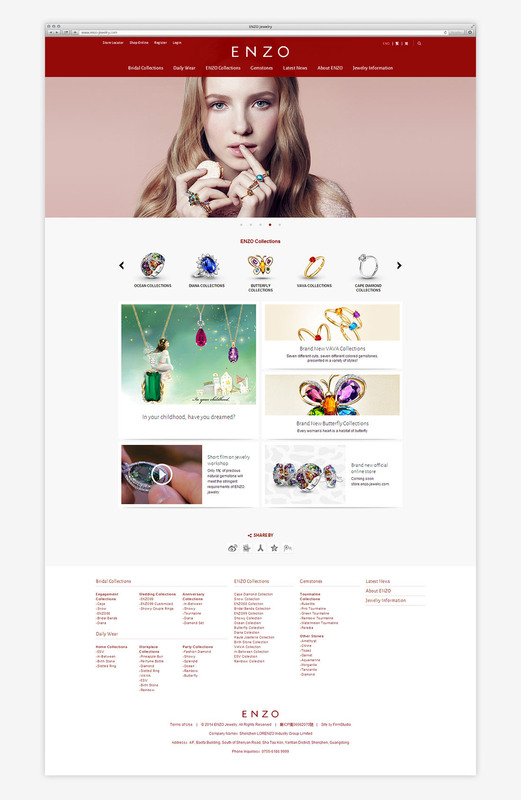 It falls under the Lorenzo Group and capitalizes its strengths to directly source gemstones from mines across the world, then processing it within their own state-of-the-art facilities. 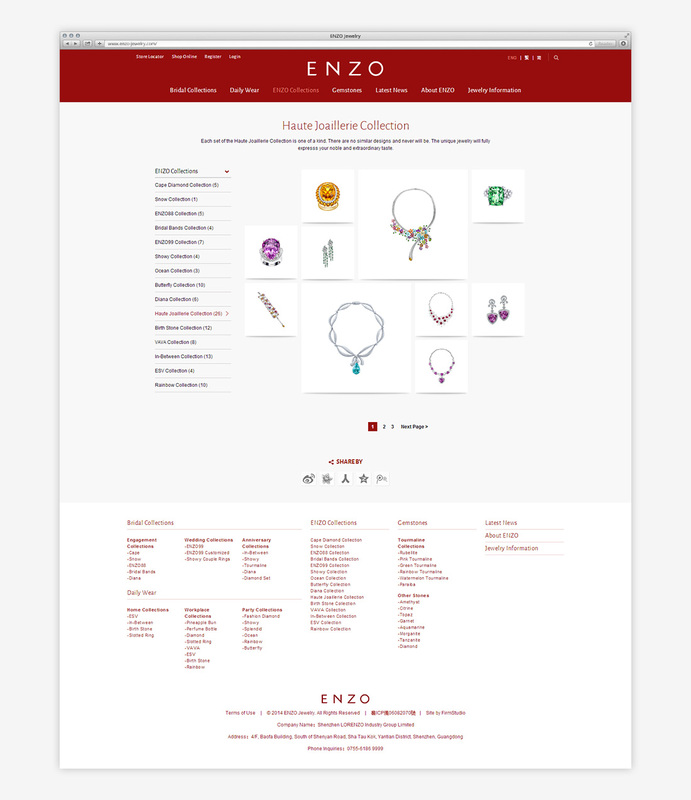 ENZO sought our help to completely revamp their website, as well as design and develop their entirely new online store. 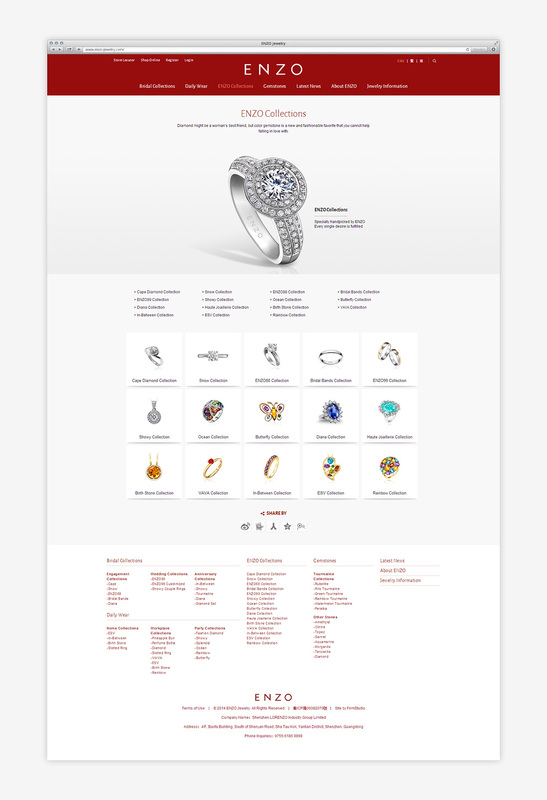 On the customer's end, we considered the website and the online shop's information architecture (IA) from the ground up; completely restructured how information is navigated to allow for a much better flow and user experience. 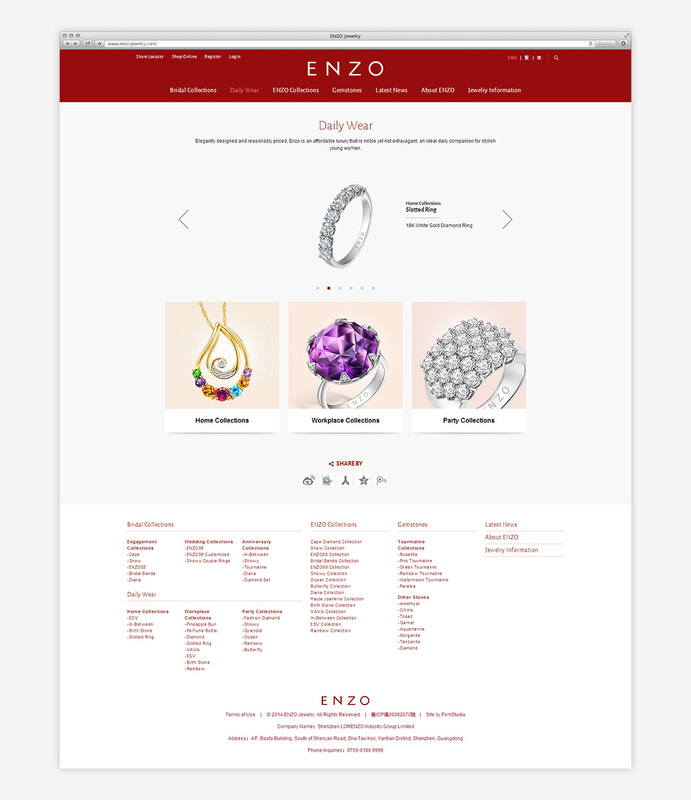 On the maintenance end, we tailor-made a custom content management system (CMS) for ENZO to easily update their content in the future. 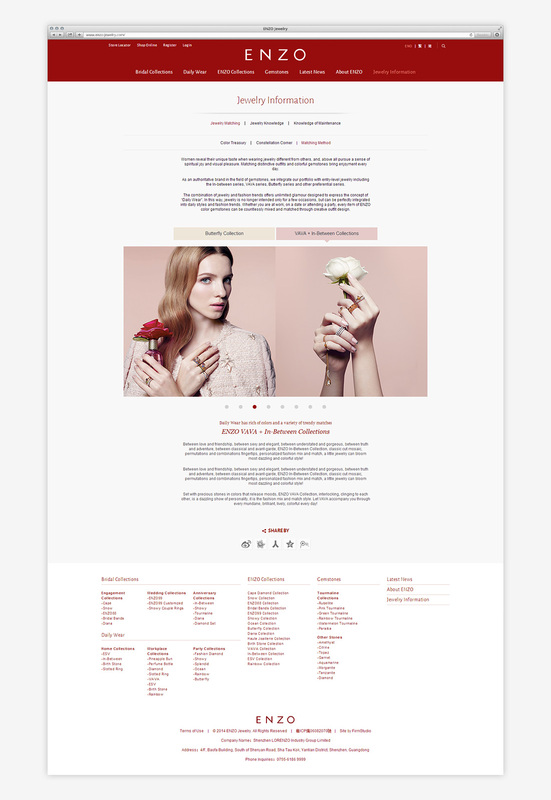 Considering how the Chinese market faces a magnitude of different web browsers which processes websites differently, we opted for a cross-browser implementation and developed a responsive web design (RWD) to maintain consistency throughout varying devices and browsers.